Unreal Tan…. For a naturally based, natural looking fake tan, try Unreal. Quick drying, highly moisturising professional spray tan. Tropic facial…. Treat yourself to a luxury Tropic facial with natural products containing 100% pure plant extracts. Naturally effective on all skin types. Facial Includes: Cleansing, face smooth brightening polish, tone, warming mask, tone, moisturise, elixir oil to massage face and décolleté. Relaxing full body massage – A soothing and relaxing treatment using essential oils to help improve circulation and relieve aches and pains. The lash lift is done using a silicone pad, it lifts each lash individually, adding the appearance of volume to your eyelashes. This lasts for 6 – 8 weeks. Eyelash extensions are semi-permanent and last 2-3 weeks. Eyelash extensions provide thickness and length to your natural eyelashes resulting in a beautiful full lash line. They are applied to each individual natural lash giving a completely natural look. Lash extensions are very light and comfortable on the eye and when applied will not damage the natural eyelash. The procedure is not painful and is actually quite relaxing! Gelish lasts 2- 3 weeks, longer on toes. High shine gloss that’s chip and scratch free, also helps promote natural nail growth. Also includes nail shape, file and cuticle work. Using paraffin wax, moisturises and softens skin and provides a therapeutic and healing heat to sore and aching joints, great for arthritis and rheumatic pain. Nails filed and shaped. Treat your feet with this nourishing treatment. Removes dry, hard, cracked skin. Nails filed and shaped, exfoliation, foot and leg massage. A painless treatment to remove dry, cracked skin from your feet leaving them soft and ready for summer!! Thai foot massage is both invigorating and deeply relaxing working on “Sen” lines which is from Ayurvedic tradition using stretching and acupressure reflex points on feet and lower leg to stimulate and open energy channels leaving you feeling relaxed and balanced. Indian head massage is a truly soothing and stimulating massage using oils, working on back, neck, shoulders, face and scalp. Good for relieving tension to detoxify the body and helps improve conditions like headache, migraines and aids concentration. 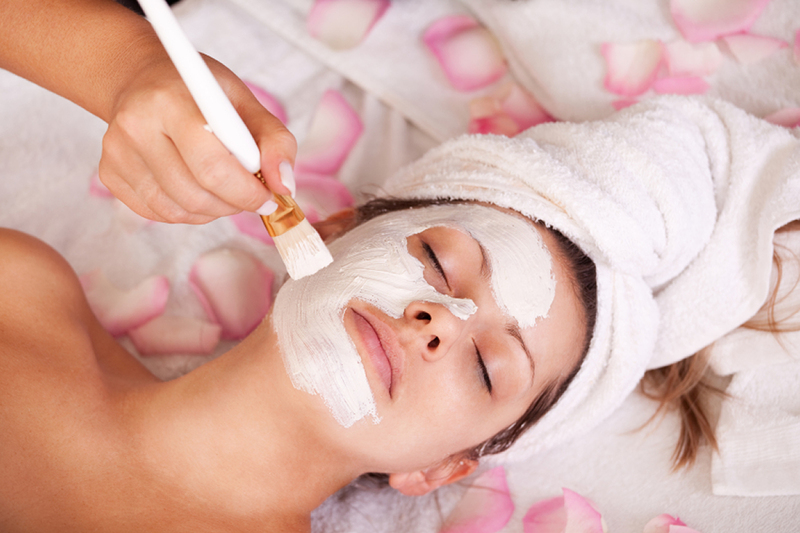 This top to toe package includes: Tropic Facial, Back & Neck Massage, Manicure & Pedicure. This Feel Fabulous package includes: Tropic Facial, Body Scrub, Body Moisturise, Luxury Manicure, Luxury Pedicure, Lash tiny and Eye brow tidy. Treat yourself to a relaxing massage in the comfort of your cottage during your stay with our experienced Holistic Massage Therapist, Sarah. Holistic Massage is a nourishing combination of deep tissue massage, traditional Swedish massage and Reiki, helping you to unwind, de-stress and regain a sense of wellbeing. Sarah will create a unique treatment that is completely tailored to suit your needs and wishes, whether that is to address a specific health condition, to soothe aches and pains, or simply relax. Each treatment also includes a short consultation and aftercare advice, which will help to prolong the benefits of your massage. Sarah uses organic, allergy-friendly oils only.